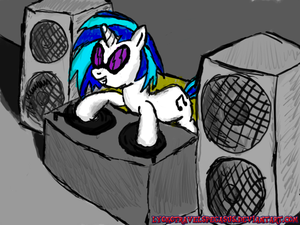 For all fans of Vinyl Scratch! i have no idea how this site works. @lyrica I've been meaning to see about getting a customized back cover for my Galaxy. Don't want to go the case route, though, that adds bulk which I don't want. @omni This is, honestly, one of the biggest reasons why I wouldn't want to use a phone where the body is a single piece of metal/plastic/whatever - I know I'm clumsy, and having a part (generally the back cover) that can separate from the rest does a heck of a lot to disperse force that would otherwise damage the body of the phone. 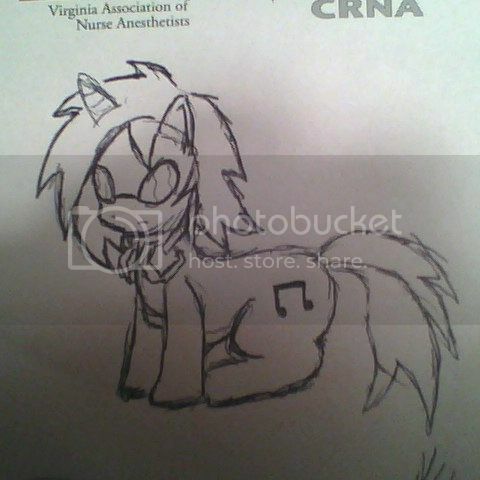 @scribus If I were a pony DJ I'd have a cannon that shot out fish. @redenchilada It would certainly spice up the show. whats a name? likes this. @lyokotravels ... That had better not be vinyl in that waifu pic... SHES MINE. @lyokotravels Well... I already "claimed" vinyl. She can tell you after she stops hitting me with records for saying "claimed". @noirbatch i also like background pick!!! @lyokotravels I know! And its all sorted. If I didn't know better I would assume he was a Buddhist monk at one point of his life. Once Upon a time there was a DJ named !Vinyl Scratch, everyday she spin records round and round till the music started playing, The End?